My special viewing for tonight is one of my favourite creepy films. It’s that rare film that actually makes the hairs on the back of my neck stand on end. My brother bought it for me as a Christmas present a few years back and it’s become one of my favourites. 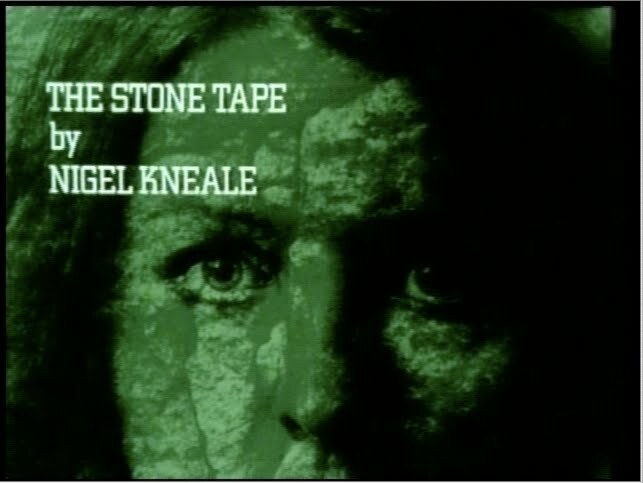 The film, a television play by the BBC first shown on Christmas Day of 1972, was written by Nigel Kneale, the brilliant mind behind Professor Bernard Quatermass and all manner of other great stories that mix the best elements of horror and science fiction. 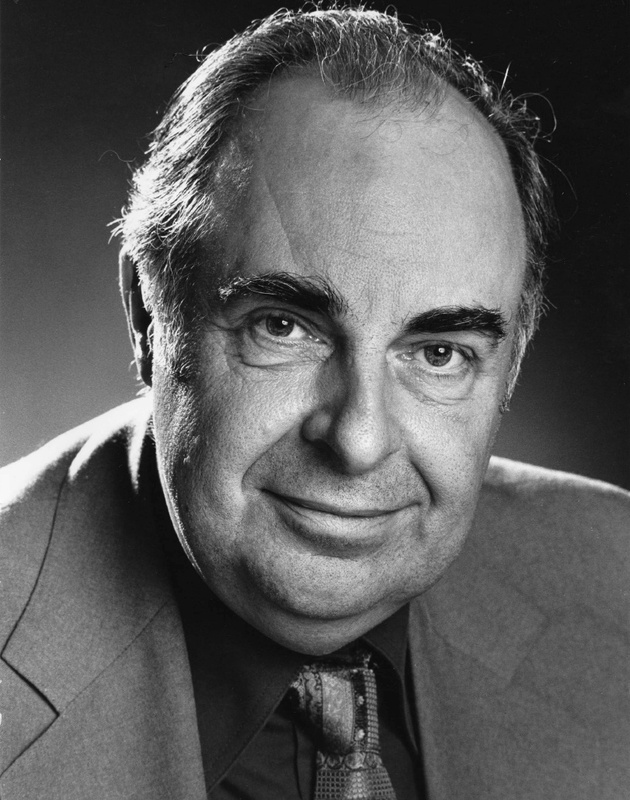 He worked for Hammer Films and Associated Television and did writing for the BBC. Kneale had a wonderful way of putting science and superstition together and watching the sparks fly and this is perhaps one of the clearest examples of it. 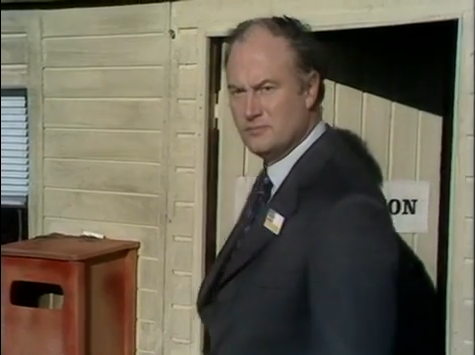 He accepted a commission from the head of drama at BBC2 to write a play for the Christmas period. His immediate thought was to write a ghost story, but one which would bring the idea of ghosts and hauntings into the present day. 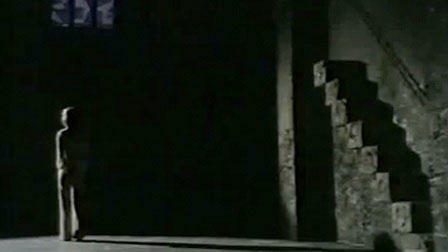 It was filmed in late 1972 on a tight schedule, directed by the experienced Hungarian, Peter Sasdy. Filming overran somewhat and additional material had to be collected later on in order for it to be ready in time for its Christmas showing. This is the closest quote I could find to how I feel about the film. It makes me feel cold even when the central heating in the house is on. It’s also been described as a dark version of Dickens’ A Christmas Carol. The story is centred around a group of scientists who move into their new research facility, an old Victorian mansion which has been abandoned for years. They are trying to develop a new technological advance which will put them ahead of their competition. One of the rooms has a distinctly odd feeling about it and one of the characters encounters the ghost of a woman, who runs up a staircase and screams. The team sees this as a potential breakthrough, hypothesising that ghosts are just old data that has been preserved by the stone walls of the room. They set to work trying to turn the phenomenon into the next recording medium that will be the making of them. Messing around with the room, however, may unlock some more ancient information that is far more terrifying. The film is lit brilliantly and the set design of the ‘room’ is genuinely chilling, right down to the ‘weeping fungus’. Seriously, I’m watching it at the minute, someone just walked into the room and I had a major ‘neck hair rising’ moment and a chill down my spine. I can’t explain it but its obviously what was intended. There is also great sound work by the BBC Radiophonic Workshop (famous for their work on Doctor Who and Blake’s 7 among other things) that really builds the feeling of unease throughout. Exterior location shots were done at Horsley Towers in East Horsley, Surrey. That’s an area I visit on occasion and I may have to pay a visit next time I’m there. 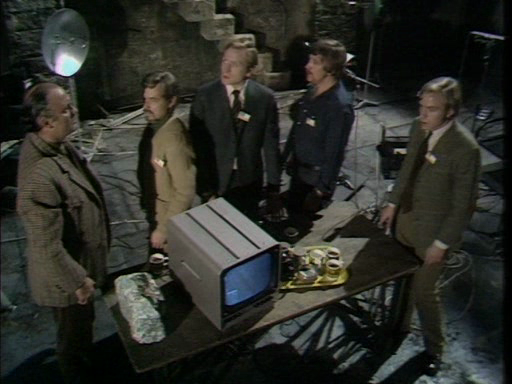 One of the story’s similarities to Quatermass and the Pit lies in the fact that there is lots of documentary evidence of the haunting that is available to the characters, building up a picture that is just as engrossing to them as it is to the viewer; a connection that I had not made until just now. 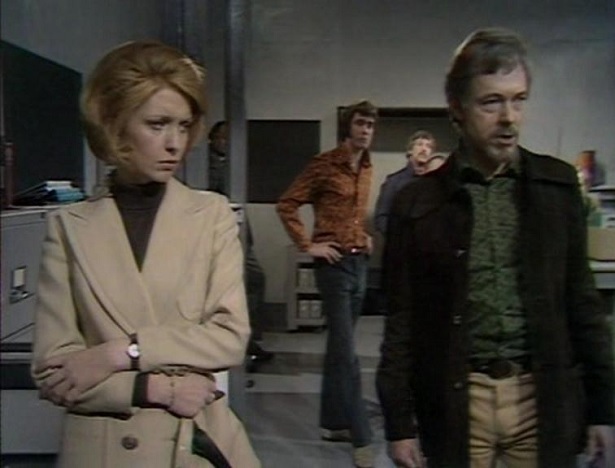 The cast of characters is led by Jane Asher as Jill Greely, a brilliant computer programmer who is also highly sensitive to the spiritual energy in the house and Michael Bryant as her thoroughly unpleasant boss (the Scrooge character if we keep the Dickens comparison going), Peter Brock. These two are backed up by a strong supporting cast, especially Iain Cuthbertson who brings a melancholy sincerity to his role. Well, if you haven’t ever seen The Stone Tape, I hope this will give you an incentive to do so. If you have an you forgot all about it, maybe this will make you go away and have a look for it. Either way, it’s one of my favourites and something that never fails to give me a chill. I can watch Saw and Hostel, A Nightmare on Elm Street or The Thing, but not one of these gives me the deep feeling of unease that I get from The Stone Tape. I remember it creeped me out the first time it was broadcast. The BBC recently did an audio version as well. It went out on Radio 4 and did well to capture a lot of the same uneasiness. Best listened to on decent headphones in the pitch dark….. I listened to it when it premiered last year I think. Wasn’t overly impressed but I was a bit distracted as I recall.